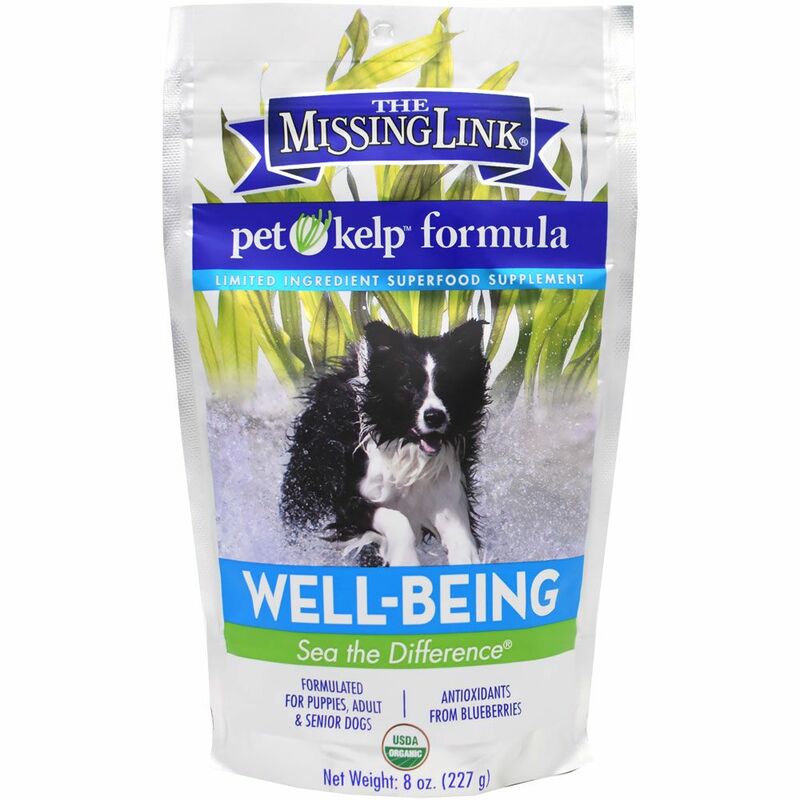 The Missing Link Pet Kelp Well-Being formula combines kelp, flaxseed and antioxidants from blueberries to support your dog's health, hardiness and overall well-being. Fomulated for Kittens, Adult & Senior Cats. 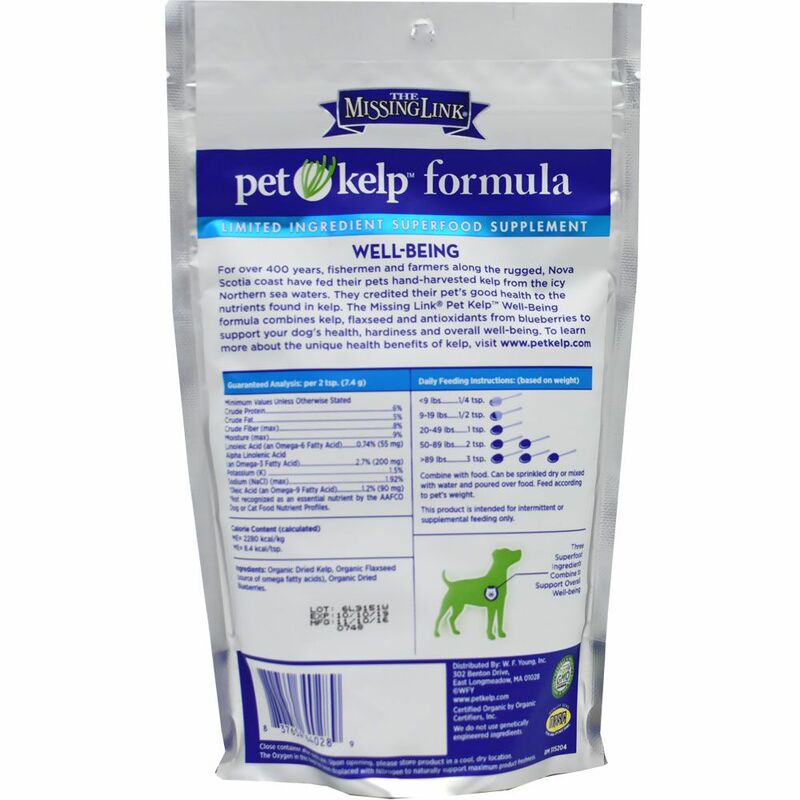 With Probiotics to Support Digestive Health, Plus Flaxseed & Cranberry.